Happy Friday! As I started typing these lines, you can't imagine how much water was pouring from the sky. I have never seen such a rain, it is almost as intense as someone pouring a bucket onto your head with the exception that he is doing it over the whole city. This Spring has been very rainy in Germany. I don't know how you are coping up with it where you are living. People even died here, be it a thunder strike or a flood. Lastly they even had to cancel the rest of the shows at a rock festival. I have some color for you today. 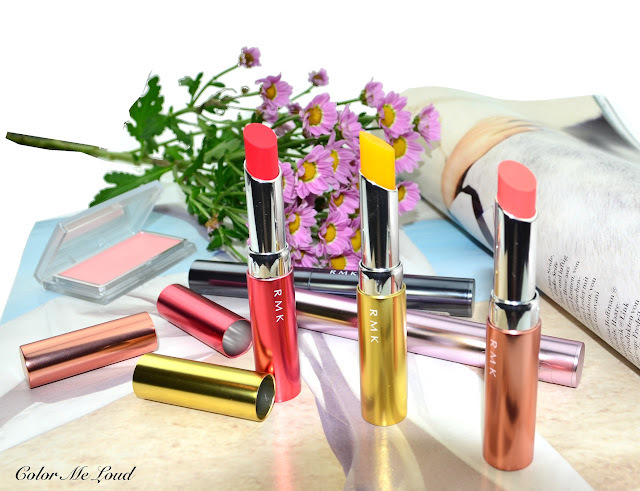 RMK's Summer Collection made me sigh when I saw the packaging of those, colorful and metallic tubes, they almost look like edible, beauty blogger kind of bonbons. I love the fact that Japanese Make-up is geared towards sun protection and water resistance as far as Summer Collections go. I am hoping we see more products with UV protection from Western Brands for summer as well. 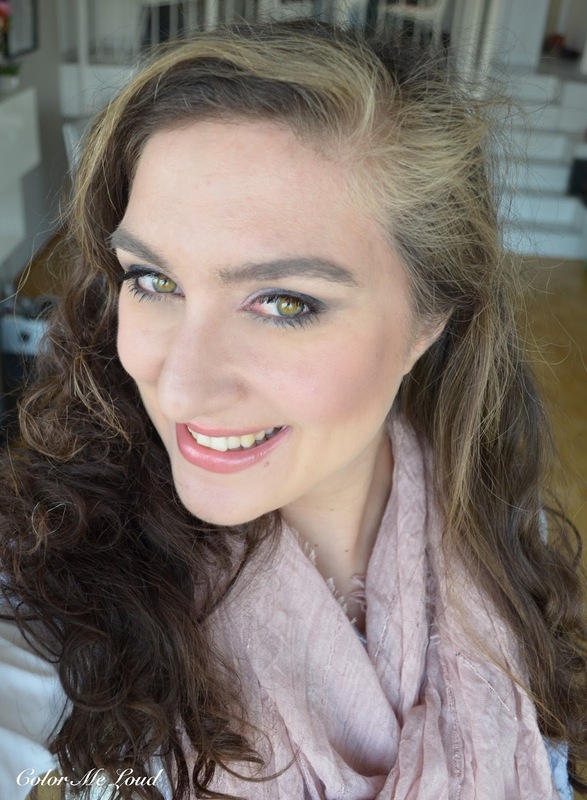 I tested three shades of RMK Lip Care Color UV Sticks for you as well as two shades of RMK Crayon Color Eyes and a limited edition color of their phenomenal blushes RMK Ingenious Powder Cheeks. Here are my thoughts about them. Starting off with my impressions about the packaging, it is oh so pretty. These are not plastic, made of very thin metal which is not too heavy but not too light either. I love the fact that the color of the product matches with its packaging. This trend started only a year or two ago. Being someone who owns ridiculous amount of makeup, I definitely welcome every idea which saves me time finding the right product in my stash. The packaging looks cheerful yet classy and chic. Very well done indeed. To me Lip Care Color UV Sticks are the highlight of the collection. They come in six different shades, #1 looks yellow in the tube but it changes color on your lips. These have a balmy but light texture, they are very comfortable to wear and feels nourishing. The shades are only as stains so #1 and #3 appear very similar on my pigmented lips. #5 is a little more pigmented but on the lips the difference is slight. I have originally taken lip photos but found out it is a bit in vain try to show the color difference on the photos. A few more notes about these, after checking the list I haven't seen any nano ingredients. They have a cooling effect after applying, this come from the fact that they have menthol on them. I really like the short sensation of cooling and can find it very comforting during the summer days. These don't have any taste or smell although if you are very sensitive to smell maybe you can get an almost there menthol smell up close. I am really loving these and off to the beach bag they go! These come in plastic case as opposed to the Lip Care Colors and they feel a little lighter, although the look of the packaging is the same. I am a little confused about how to use them since the tip is too thick to be just a liner and too thin to be an eyeshadow stick. I believe they are mostly thought for asian type of application, that is, you do a liner and smoke it out, which fades from the lash line gradually to the socket. But if you have a natural socket, then that type of application may not look well. I tried to apply it all over the lid, which worked to certain degree but it was not easy. I can imagine using #01 Cool Night Black as a liner since this blends so beautifully. #03 Pink though is another story, I never thought I would call a cream color chalky but this one looks very white based on me. I think if you have very fair skin, it might look much better. For the below eye look I applied RMK Crayon Color Eyes #01 on the outer half, RMK Crayon Color Eyes #03 on the inner half of the lids. I applied MAC Copperplate on the socket and Tom Ford's Black Liner along the upper lash line. You can see that pink one looks a little chalky on me. I was not very convinced of the look I came up with but it ended staying all day long without smudging and bulging once worn on a eye primer (Nars Pro Prime). Here is the full look with RMK Ingenious Powder Cheeks N Ex-15 Frosty Rose on the cheeks. This is a very illuminating blush on me which shows up just enough on my NC20 skin. If your complexion is a little deeper, probably it wouldn't show. I love the texture of RMK Blushes. On my lips I have Lip Care Color UV Sticks #1 and as you can see it gives enough color but it can be casually applied without a mirror. Final thoughts: All in all my highlight of the collection is the Lip Care Color UV Sticks SPF15. If you have pigmented lips, the colors might look very close though so probably you are better of getting one instead of many. I am loving the blush too, very fresh if you are NC20 and lighter. 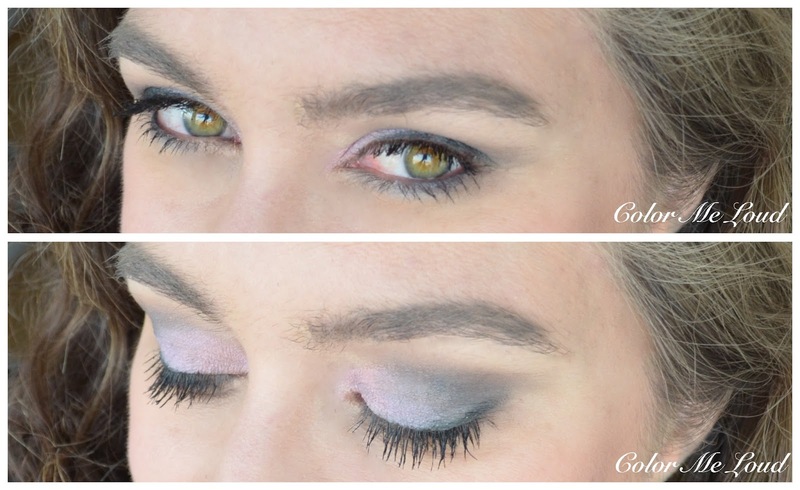 with Eye shadow sticks, I have to experiment more to understand what is the best way to wear them for the shape of my eyes. RMK Summer Collection is now available. Are you eyeing anything? Actually, that is a very pretty eye look on you. Thanks for the review, very nice post! Thank you for your review. 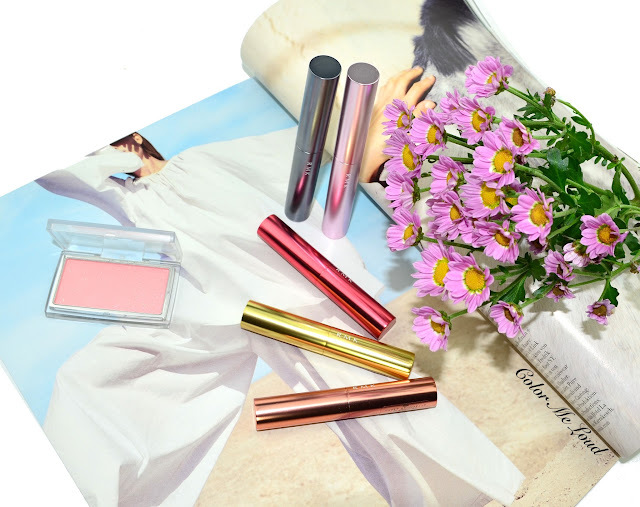 I've been looking forward to the review of RMK summer as I wondered whether to get anything. I have been tempted by the eye crayons but I'm glad I held off. I might get one of the lip UV sticks. I'm glad they aren't fragranced or flavoured. 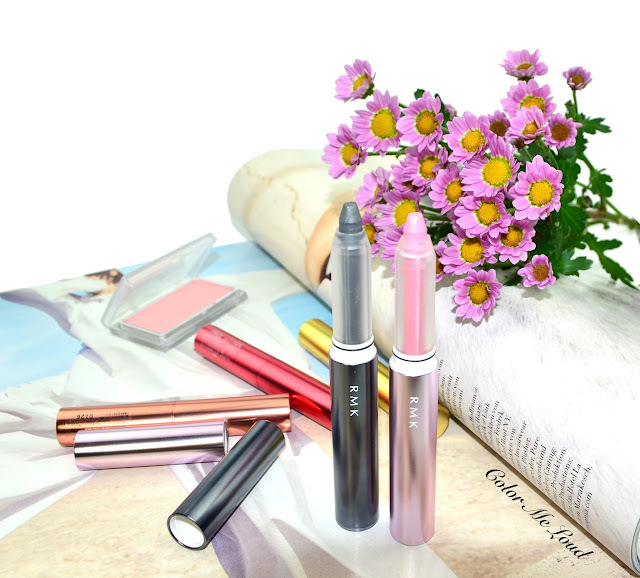 Definitely like the sound of the Lip Care Color UV Sticks! UV sticks for the lips!!!! Now i just need eyeshadows with SPF... pretty pls!! !